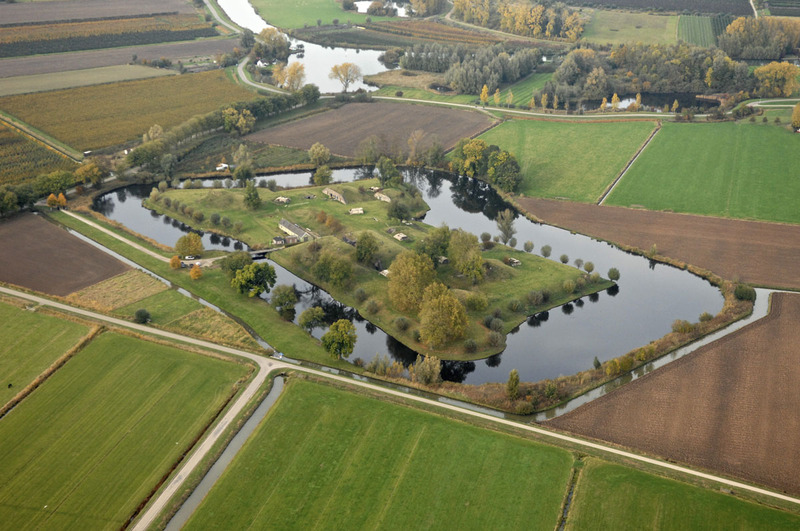 The GeoFort in the Netherlands served as the scenic backdrop for the inaugural Geodesign Summit Europe. Geodesign Summit Europe opened with a humble appeal from one of the event’s organizers. "We need all your help to design a better world. After all, that is why we have gathered here,” said Henk Scholten, standing inside the rustic GeoFort in Herwijnen, the Netherlands, consciously retrofitted with green technology and repurposed to be a geospatial learning center. Scholten, president of the multidisciplinary geospatial service and technology firm Geodan, welcomed 200 people from 22 countries to the two-day summit last September. 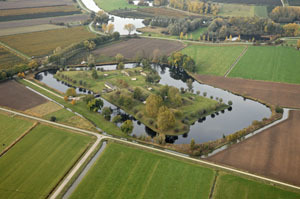 The event, co-hosted by Netherlands-based Geodan, Esri, and the Free University of Amsterdam, explored themes relevant to geodesign in Europe, including integrating historic places and heritage in design; creating synergy by connecting cities; better managing land and water to mitigate the effects of climate change; and designing smart, resilient cities. The audience and speakers included scholars, urban planners, architects and others interested in using geodesign to create more sustainable, livable cities. Geodesign is an iterative process of design that considers geography. It uses geospatial modeling, stakeholder input, simulations, and real-time feedback to produce holistic designs and facilitate smart decisions. 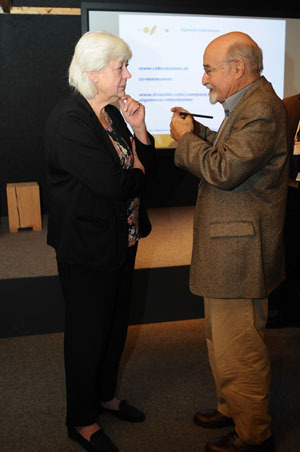 Geodesign brought together Saskia Stuiveling, president, Dutch Court of Audit, and Carl Steinitz, professor emeritus, Harvard Graduate School of Design for a conversation. Antonio Camara, founder of the interactive technology company Ydreams, opened the Plenary Session with inspiring examples of how technology might change people's perception of what it means to be a “smart” city—one that uses resources wisely and maintains a high quality of life in the face of a growing urban population. New user interfaces, from vapor screens to holograms to the growth of 3D environments, are blurring the lines between virtual and augmented reality. The rise of robots and devices that connect citizens to the environment are adding intelligence to people's idea of a smart city. "We think one day robots will be pervasive, our friends, our pets," Camara said. In the next 20 years, tools "will come to the market that augment our intellectual, as well as our physical, abilities to comprehend the spatial dimensions of our macro, micro, and nano worlds." Carl Steinitz, Professor Emeritus, Harvard Graduate School of Design, described the framework for geodesign, emphasizing that it's a process rather than any one tool. The highlight of his keynote speech was a case study on the work he and his colleagues completed this year for Soma City, Japan, where they used geodesign to derive alternative plans taking into account the constraints of flooding, radiation, rapid evacuation, and a shrinking population. The work, done in three days, generated approximately 100 designs that were narrowed down to several, then finally one. The project demonstrated how the geodesign process can reduce complexity and increase understanding. And understanding must precede action, if the intent is good design. But even good design can go wrong if there is not good governance. "Good governance and democracy can be served fantastically if we have a truthful image of the world at our fingertips," said keynote speaker Saskia Stuiveling, president, Dutch Court of Audit, and member of the International Organization of Supreme Audit Institutions. "With the right data, we can help the public sector improve the quality of life for people around the world. 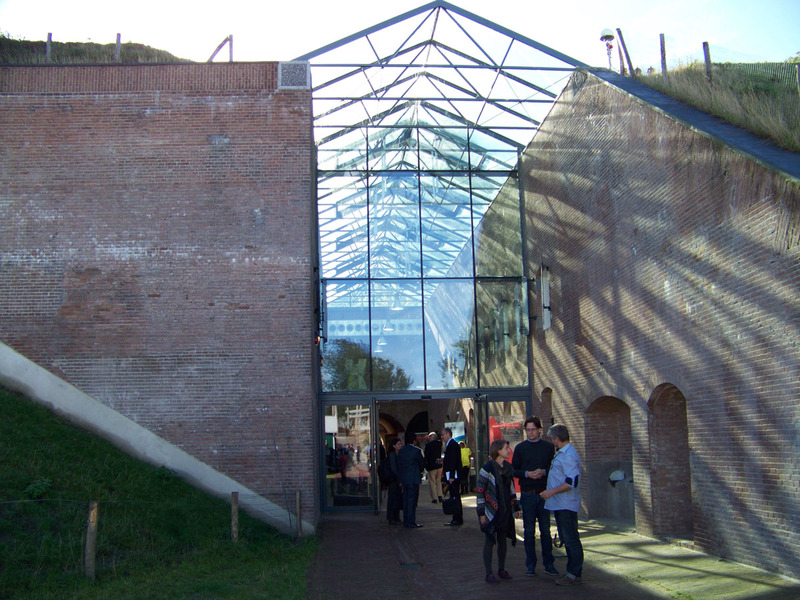 More than 200 geodesigners and geodesigners-in-training spent two days inside this historic fortress discussing geodesign. "The public audit community looks at risk, combining financial and environment risk to assess the sustainability of regions around the world," said Stuiveling. "Mapping is an important method supreme auditors use to keep a finger on the planet's vital systems and identify violations and ultimately responsibility." Whether monitoring housing subsidies in Portland, illegal logging in the Amazon, or funds to support tsunami recovery efforts in Indonesia, maps have helped improve the efficiencies and effectiveness of many projects and programs. Richard Kingston, senior lecturer in urban planning and smart cities from the University of Manchester in the United Kingdom, pondered whether geodesign tools will be a way to get citizens more involved in planning their communities. He said that in the United Kingdom, with the recession squeezing city budgets, some planning staffs are being reduced. "The first thing to go is public participation [in planning]," he said. "Is geodesign a way of engaging people in ways that we've not been able to engage people before in decision making about their cities?" he asked. "Can we offer ways in which citizens can be creating and amending designs and plans for their neighborhoods?" One successful way of involving citizens might be the use of games. Kingston citied as an example a project for the European Commission called Smart Metropolitan Areas Realised through Innovation. Online games were used in Ghent, Belgium, to familiarize people with their neighborhoods. "Citizens of Ghent began to realize there were parts of their neighborhoods they had never been in before and there were things going on in parts of their neighborhoods that they had not been aware of," Kingston said. "And they started to pay more care and attention about what was going on in their neighborhoods. And this allowed the city to engage these citizens [in] the redevelopment of their neighborhood." The summit also involved the next generation of geodesigners. About 100 students attended several preconference geodesign training events. This was a real success and gave them a deeper understanding of the geodesign process. To spread the ideas and keep the conversation going, watch the videos from the summit and read the e-book. You can also register for the Geodesign Summit, which will be held January 29–30, 2014, at Esri in Redlands, California.